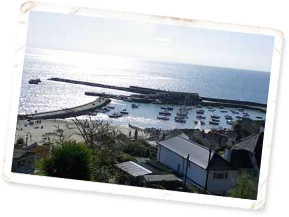 Lyme Bay is a 2460 km2 area of English Channel coastline located in Southwest England, encompassing approximately 120km of coastline and numerous fishing ports. Above the tide mark, Lyme Bay is one of the most spectacular and most valued landscapes in Britain. The shoreline of Lyme Bay, which is partly in Dorset, partly in Devon, is part of one of Britain's only natural World Heritage Site, the Jurassic Coast. ‘Statutory Instrument’ (SI) (2011) - designated by Defra excludes all bottom towed fishing from a 206 km2 area of the Lyme Bay seabed. This designation was introduced to protect the structure of the Lyme Bay reefs and to recovery reef biodiversity. European Special Area of Conservation (SAC) (2011) - increased protection for offshore reef areas. SAC led to additional assessments of bottom towed fishing across the site by both Southern and Devon and Severn IFCAs, resulting in larger bottom towed fishing closures across the site through the introduction byelaws by both IFCAs.